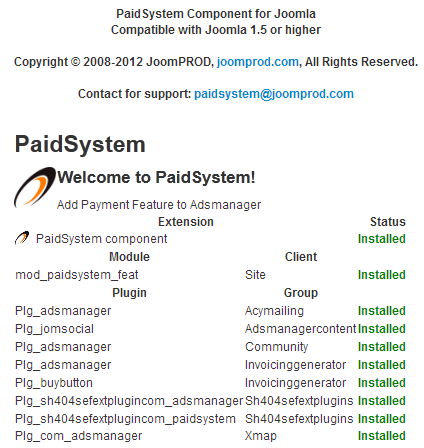 The PaidSystem component can be installed on Joomla 1.5, 2.5 and 3.0. Installation is done the same way on all versions. Once the gold or silver pack has been purchased and downloaded, the component can be installed PaidSystem like any other Joomla component. 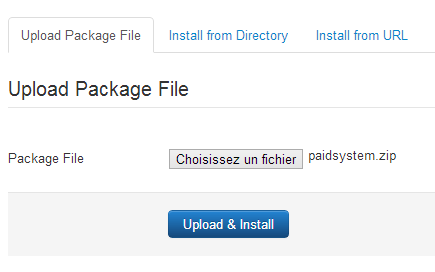 To access the zip folder of PaidSystem, you need to unzip the file you just download, the component will be inside it. PaidSystem is included in the silver and gold packs for AdsManager, to get one of these packages, click on the 'Purchase' link in the top menu.